Limited to Mediation and Arbitration services. practiced in Brattleboro, Vermont after graduating from the University of Virginia Law School in 1974. Prior to attending the University of Virginia, Potter received his bachelor’s degree from Yale University. Potter retired from the active practice of law in January 2014, and now focuses exclusively on mediation and arbitration, including acting as an early neutral evaluator for the mandated Vermont Federal District Court mediation program. Potter’s service to the Vermont legal community has included serving on the Board of Managers of the Vermont Bar and the Board of Bar Examiners. Potter was chosen to participate in the first mediation program set up by the United States District Court for the District of Vermont. He is a designated Early Neutral Evaluator. 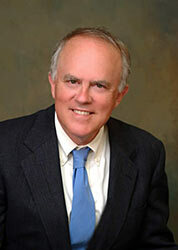 You can contact Potter Stewart Jr. regarding Mediation and Arbitration services via email: Email Potter Stewart.